This section will inform you about what you should expect from your microCHP boiler installer and what you need to know about your appliance. It will also help you to find the right professional for your install. At the bottom of this page we provide a link to our database where you can search for an microCHP installer that can service your area. Your installer should know all about this and have a comprehensive knowledge of how the m-CHP unit works and what to expect from it. Your installer must be ‘Gas Safe’ registered legally. There are also further, more specific courses for installers looking to install m-CHP units but these vary depending on the technology. As with all mains gas related technology you should be provided with a commissioning checklist and a service interval record to help you keep up with servicing. Building regulations also require that the unit and its installation should comply with the manufacturer’s instructions of install and use (only for dwellings and related structures). As with all gas boilers you should have regular servicing to ensure the unit is safe, optimised and running correctly. You should have your system serviced no less than once a year. 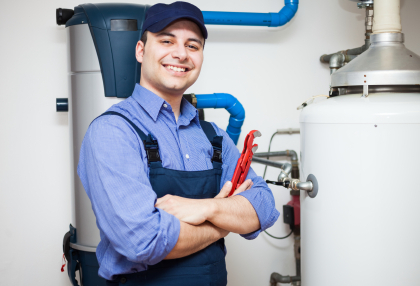 At the point of installation, try to ensure that your boiler’s flue has sufficient inspection hatches or your unit could be deemed ‘at risk’ by future service engineers. Visual examination checks by engineers via inspection hatches, is currently the preferred method. This is recommended by the industry guidance that explains how to judge a flue is working safely and effectively. However, where inspection hatches are not practicable, industry has developed a safety system which is able to monitor the void for the presence of carbon monoxide. This system causes the boiler to shut down if CO gas build-up is detected.